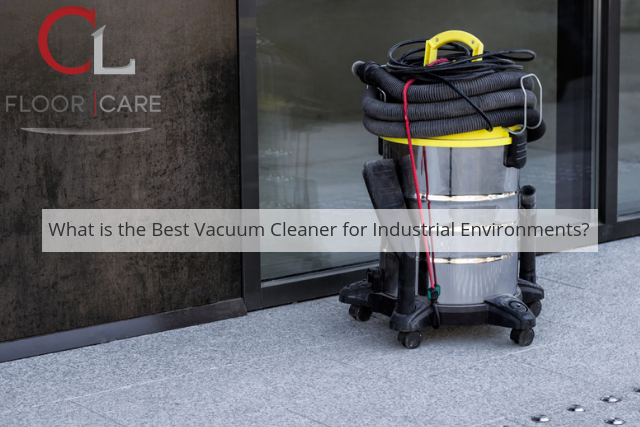 What is the Best Vacuum Cleaner for Industrial Environments? Commercial and industrial environments are associated with entirely different cleaning requirements when compared to a domestic location. This is why the use of a high-strength and efficient vacuum cleaner is essential. It can sometimes be difficult to know which make and model is the most appropriate for your needs, so it is important to address three main concerns. Let’s quickly examine what metrics should be examined in relation to industrial vacuum cleaners. There is no doubt that the information below will come in handy. What is the Intended Application? The first parameter to address involves the intended use of the unit. This is critical, as different configurations are designed to be used within different environments. For example, some vacuum cleaners boast wet/dry functionality or they are equipped with attachments to address hard-to-reach areas. Base your selection around these and other variables. What Type of Filtration System is Present? Industrial cleaners need to be outfitted with powerful filters, as these units will help to address any particulate matter that may be encountered. While HEPA filtration systems are standard a new variety known as ULPA (ultra-low penetration air filters) are becoming common. These provide even more benefits, as they can address particle sizes as small as 0.025 micrometres. This could be ideal when dealing with very fine airborne dust. As opposed to popular belief, power is not associated with the horsepower rating of the engine alone. Suction is another factor and this should be considered alongside how much air can pass through in a given period of time (normally measured in cubic feet per minute). Units equipped with a higher number of cubic feet per minute will provide a greater amount of airflow. Industrial environments require modern solutions in order to deal with dynamic situations. This is why only the best vacuum cleaners should be chosen. Never forget that it is always possible to hire units for a given period of time as opposed to committing to a one-off purchase. Anyone who would like to learn more about their options should consult with CL Floor Care at their convenience.